In the event of a no-show the first nights stay will be charged to the guests credit card. Any reduction in original numbers given to the hostel will not affect the original quote supplied ie full payment required for all guests originally booked. Any damage to hostel property will be charged to guests credit card. No smoking/drinking in bedrooms. Common areas can be used for alcohol consumption up to 11pm daily. The management will not accept or tolerate any excessive noise or disturbance to any other guests. We reserve the right to terminate a groups stay if any damage is caused to the hostel. Oscars is based opposite corks Kent train station and a mere 5 mins walk from the cities bus station. 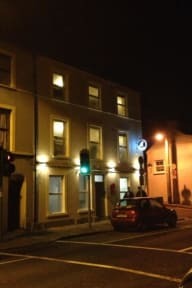 You will experience great comfort at our new hostel, a homely feel and receive only the friendliest service that cork offers its visitors. 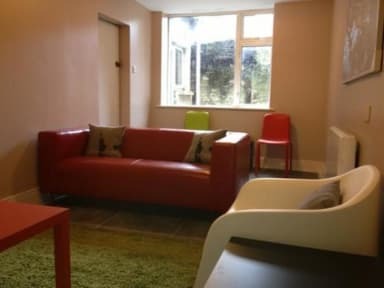 Oscars has a choice of male/female dorms and 7 private rooms that are all en-suite for your convenience. 3 bed private room not for 3 male its bunk bed double and top single. Alcohol not permitted in rooms. No excess noise or large groups congregating in bedrooms. Any damage caused by a guest will result in guest being charged for the damage. Oscars Hostel accepts no liability for the loss or damage of objects not handed to reception for safe keeping. Management and staff reserve the right to refuse admission without explanation. Absolutely no tampering with fire and safety equipment.